Buy Craft Beer, Liquor, Wine from Quality Liquor Store because we care! Since the early 1900’s Quality Liquor Store has served as San Diego’s neighborhood convenience store. Located in the heart of San Diego, California, we proudly serve a great collection of Craft Beer, Liquor, Wine, and much more to our community. We stock and support local brands as well as international brands, and have everything from hard to find Craft Beer to Moonshine and much more liquors. Whether you’re stocking up for the Chargers tailgate, gearing up for the Padres game, or just need a bottle of wine to end the day, we cover all your beverage needs. 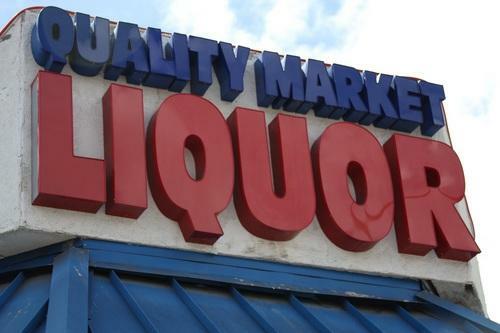 Quality Liquor Store has been owned and operated by the same family for the last 16 years. We are located in the heart of San Diego, California. Please stop in and see us! If you have any questions, please feel free to Contact Us. We appreciate your business!